Five years ago the words “Technical Restructuring” were muttered around the School and so began a new phase in my career as a technician at Sutton Bonington (I would say School of Biosciences but the School has had so many names whilst I have been here). For those who maybe unaware I started at SB as a fixed term research technician working with (Prof) Morag Hunter and Eric Lamming on an AFRC research project in Physiology and Environmental Sciences (PES) at the School of Agriculture. If you know Sutton Bonington that may give a clue as to how long I have been here !! Following a couple of fixed term contracts I applied for a School post in Animal Physiology and gradually worked my way up the technical career pathway to become Chief Technician in Animal Sciences. During the spring of 2013 I was presented with an opportunity of applying for the newly created School Technical Services Manager (TSM) role and consequently overseeing the restructuring of technical services and technical teams across the School. One of my main goals when I took on the role of TSM was to raise the profile of all the technical staff across the School. Our technicians are highly qualified and experienced individuals who underpin much of the research and teaching across the School, the image of technical staff is often portrayed as staff in white coats pushing trolleys of equipment around or as the Cinderella’s of the laboratory leaving them feeling undervalued and unappreciated. It was important to ensure all that technical staff, whether School or research funded and wherever they were located in the School, had the same opportunities for development and progression, that they had a designated person to support them in their technical career choices and when appropriate, to guide them through the University regrading process. The last few years have also been changing times for technical staff in Higher Education. A Gatsby Foundation report acknowledged the contribution skilled technicians make to science, health and technology industries in the UK but warned that with an ageing workforce and 50,000 technicians retiring each year more needed to be done to recruit and retain technicians to meet demands from employers. These awards give recognition to technicians and are transferrable across HEIs and industry. All the main UK funders and employers of researchers (including groups representing universities) are signatories or supporters of the Concordat to Support the Career Development of Researchers. To meet their commitment Research Councils promote opportunities for grant funded researchers to access training and continuing professional development (CPD) to support their careers. 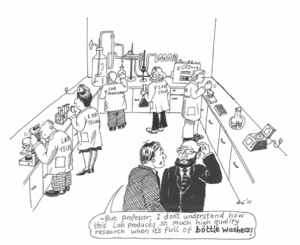 A recent 10 year review has recommended“broadening the definition of ‘researchers’ to be inclusive of all staff engaged in research, including technicians who play such a vital part in UK research and innovation”. UKRI fully support the Professional Registration program for technicians as a way of demonstrating the level of competency for named technicians on grant applications and as a way of verifying that research funded technical staff have access to appropriate CPD opportunities. Launched in May 2017 with support of the Science Council and Gatsby Foundation, the Technician Commitment was initially signed by 36 institutions with the University of Nottingham being a founding signatory. The commitment targets areas on which universities and institutions will work to improve to safeguard vital technical skills. The commitment will ensure greater visibility, recognition, career development and sustainability for technicians across all disciplines. The University now has a formal Technical Managers Committee (reporting via Sam Kingman PVC for Engineering to UEB) to implement the aims of the commitment. It is now accepted that technicians in HEI’s do actively teach students, whether through demonstrating in large practical classes, training project students in techniques in the laboratory or glasshouses or through small group teaching on field trips. In an era of TEF, student fees and increasing value for money it is pleasing to see that their contribution is being recognised and that technical staff now have an opportunity to complete the Associate Teaching Programme (ATP) and become Associate Fellows of the Higher Education Academy (HEA). So the last five years have certainly been a busy and challenging time workwise and to switch off I try to have plenty going on outside work too. This ranges from practicing yoga and being a keen gardener to hiking, water sports and music festivals. 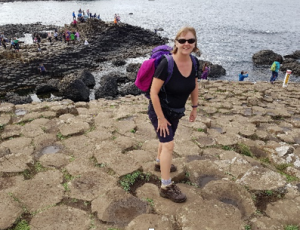 I also love to travel and visit new places so always try to have the next trip away planned to look forward to – my highlights this year have been trips to Jamaica, Sicily and walking the Causeway Coastal Path in Northern Ireland. This is a brilliant account of very important and impressive progress that has been made in a relatively short period of time. Well done to all who have contributed to the change process.